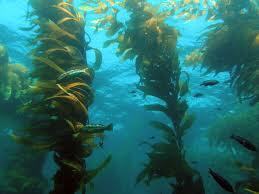 There has been much publicity about the many benefits of using kelp or seaweed-derived products in various applications ranging from broadacre cropping to pasture and to domestic situations. Perhaps you may be disappointed in the results you are currently seeing from the application of high analysis fertilisers to your crops and/or pastures and looking for options to regain the extra response that you previously experienced. Seaweed Sensation (SeaSens) may be just the answer you are looking for to boost not only the nutrients of your soil but also your crops/pastures. SeaSens contains natural plant growth hormones and a large number of minerals and micro-nutrients - more importantly, SeaSens combines these with vitamins and amino acids to increase the available nutrients and their uptake, strengthen root development, strengthen stem growth, increase photosynthesis, increase yield/production and increase the quality of the produce. How does SeaSens do this - by conditioning your soil, by assisting plants to absorb and utilise the increased nutrients, by stimulating root growth, by increasing resiliance to weather-induced stress from too much/little rain and extremes of heat/cold, by stimulating the activity of microscopic and other fungi in the soil, by assisting seed germination and resistance to disease and by reducing the impact of nematodes through the inherent natural antibiotics. And ... you don't have to make a special application to utilise SeaSens - it can be added to your pre-planting control spray to even further enhance its economical use should you wish to do so. Kelp Agri Products is delighted to be able to provide you with a secure, local source of high quality seaweed solutions for your situation and looks forward to continuing to do so well into the future. Kelp Agri Products is located on Queensland's fertile Darling Downs. We restrict our product offering to SeaSens only to ensure a continuing supply of a quality product for you. 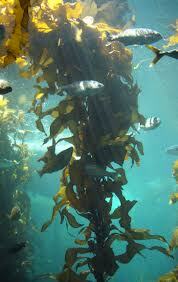 The kelp we use is from Tasmania. All kelp utilised in the manufacture of our products has been sustainably harvested and processed in Australia - ALL kelp used has been collected from the shoreline after having been washed up by nature's forces alone. The Material Safety Data Sheet (MSDS) for SeaSens is available for your reference purposes and can be accessed and printed should you wish to do so - SeaSens MSDS. For your information, a typical analysis for Bull Kelp from Tasmania has been included for your reference purposes - Kelp Analysis. Should you still be a little unsure of how SeaSens will perform in your specific situation, we encourage you to trial SeaSens by purchasing one 20 litre drum for $125. We are confident that you will return to purchase more, and to encourage you to do so, we will still apply the 20% discount offer of five drums for $500 so that your next four drums will cost you only $375.